Born in Former Yugoslavia, David Atrakchi spent his childhood in Opatija, and Baghdad, Iraq. Now based between Paris and New York, he studied theater, dramatic arts and film at New York University with esteemed acting coach Jack Waltzer, a member of the Actors Studio. In 2005, he became one of the founding partners of the French film production company and artists collaborative FullDawa Films. He has directed & produced several short films as well as a documentary for UNESCO titled "A World for Inclusion" featuring Philip Seymour Hoffman. 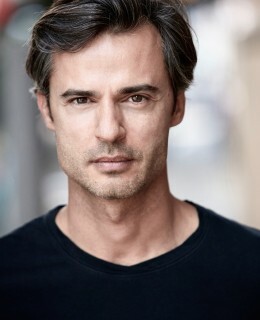 With his company FullDawa Films, he has recently handled the production services and coproduced the feature film, "My Old Lady" by Israël Horovitz alongside American production company Deux Chevaux Inc. in New York, L.A based Krasnoff/Foster Entertainment, BBC Films & COHEN Media starring Kevin Kline, Maggie Smith and Kristin Scott Thomas.